Hungama Digital Services (HDS), now majorly owned by WPP’s media agency JWT, has announced the promotion of Mohit Hira to the position of CEO. Hira has been with JWT since November, 2012 where he was overseeing JWT Group’s digital initiatives, in addition to his role as the Business Lead on Airtel. This is the first change in the senior level management of the firm after JWT acquired a majority stake. Given JWT’s increased focus on the digital, he will now assume leadership of the digital aspects. As part of this, Hira will be overseeing the entire operation of HDS and JWT Digital, thereby ensuring the integration of the two to offer digital solutions to all HDS and JWT clients. JWT acquired a majority stake in HDS in May 2012 to offer to its clients a full-service digital agency specialising in digital marketing and social media solutions. As part of the acquisition, Hungama’s activations arm, Hungama Promo Marketing, also merged with HDS to provide an engagement platform linked to online and offline deliveries. A graduate from INSEAD (Singapore) and IIM Ahmedabad, Hira is an advertising creative director turned netvangelist, with a career spanning over two decades with diverse experience across the fields of advertising, marketing, journalism and digital media. Prior to joining JWT, Hira was with NIIT, initially as the founder and President of Training.com, a B2C global online learning business platform, and then as CMO of Career Building Solutions. Prior to that, he was with Times Internet Ltd, heading the marketing dept. 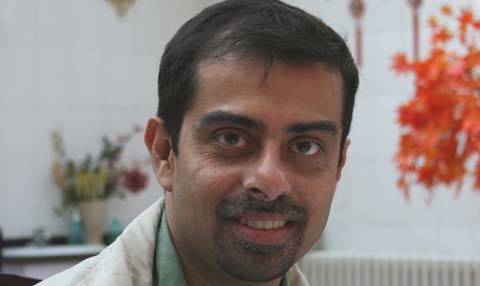 He has also been the Brand Head for Times Foundation, Navbharat Times and The Economic Times, Delhi. He was recently nominated to the Impact India Digital Power 100 List and has also been on the IBM-Paul Writer list of Top 50 CMOs earlier. Continuing with the traditional ad agencies versus specialist digital agencies debate, we witness that mainline agencies have slowly started carving out a bigger chunk in the digital business. Mohit’s appointment is yet another move by JWT to gear up its digital capabilities.